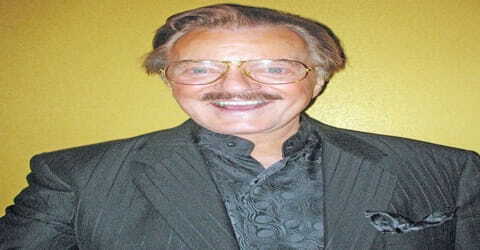 Robert Goulet – American singer, actor, and entertainer. 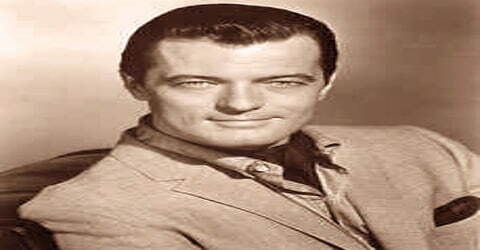 An American singer and actor, Robert Goulet was born on November 26, 1933, in Lawrence, Massachusetts, on Haverhill Street, the U.S. where he also lived. He has possessed a rich baritone voice and matinee-idol good looks attribute that fueled his rise to stardom as an award-winning recording artist and actor in musicals. Cast as Sir Lancelot and originating the role in the 1960 Broadway musical Camelot starring opposite established Broadway stars Richard Burton and Julie Andrews, he achieved instant recognition with his performance and interpretation of the song “If Ever I Would Leave You”, which became his signature song. His debut in Camelot marked the beginning of a stage, screen, and recording career. A Grammy Award and Tony Award winner, his career spanned almost six decades. 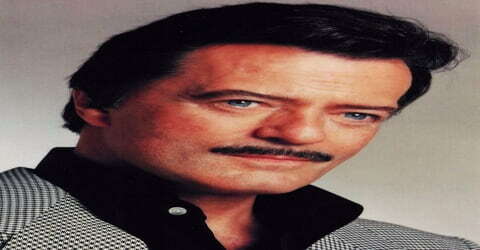 Robert Goulet, by name of Robert Gerard Goulet, was born on November 26, 1933, in Lawrence, Massachusetts, U.S. He was the only son of laborer Joseph Georges André Goulet and his wife, Jeanette (née Gauthier). He was of French–Canadian ancestry. Shortly after his father’s death, 13-year-old Goulet moved with his mother and sister Claire to Girouxville, Alberta, and he spent his formative years in Canada. After some years, the family shifted to Edmonton to make use of the performing arts opportunities available there. While there, Goulet studied at the voice schools of Jean Létourneau and Herbert G Turner. He later worked as a radio announcer for the ‘CKUA Radio Network.’ Upon graduating from Victoria Composite high school, Goulet received a scholarship to The Royal Conservatory of Music in Toronto, where he studied voice with oratorio baritones George Lambert and Ernesto Vinci. In 1952, Goulet competed in CBC Television’s Pick The Stars, ultimately making the semifinals. This led to other network appearances on shows like Singing Stars of Tomorrow, Opportunity Knocks, Juliette, and the Canadian version of Howdy Doody in which he starred opposite William Shatner. 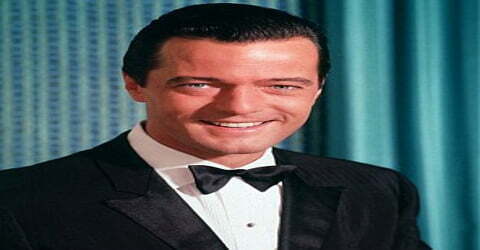 Robert Goulet was married first to Louise Longmore from 1956 to 1963. Their daughter, Nicolette, later became a film, TV, and theater actor. His second marriage, with American actor/singer Carol Lawrence, from 1963 to 1981, gave him two sons: Christopher and Michael. In 1982, Goulet married artist and writer Vera Novak in Las Vegas, Nevada. Novak, who was born in Bitola, Macedonia, was also his business partner and manager. He sang “God Bless America” on Friday, August 8, 2003, when she was sworn in as a citizen of the United States in Las Vegas. 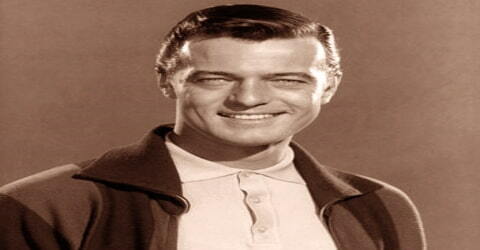 Robert Goulet participated in the ‘CBC’ program ‘Pick The Stars’ in 1952 and made it to the semi-finals. This exposure paved his way for shows such as ‘Singing Stars of Tomorrow’ and the Canadian version of the children’s program ‘Howdy Doody.’ He was associated with the ‘Kenley Players,’ leading to his first US bookings. Among his eight stage productions for the company, the most notable was ‘Pajama Game’ (1959), ‘Bells Are Ringing’ (1959), ‘Dream Girl’ (1959), ‘South Pacific’ (1960), ‘Meet Me in St. Louis’ (1960) and ‘Carousel’ (1960). In 1959, Goulet was introduced to librettist Alan Jay Lerner and composer Frederick Loewe, who were having difficulty casting the role of Lancelot in their stage production Camelot. Lerner and Loewe, impressed by Goulet’s talent, signed the virtual newcomer to play the part, opposite Richard Burton (King Arthur) and Julie Andrews (Queen Guenevere). Camelot opened in Toronto in October 1960. It then played a four-week engagement in Boston, and finally opened on Broadway two months later. Goulet received favorable reviews, most notably for his show-stopping romantic ballad, “If Ever I Would Leave You” which would become his signature song. His successful stint with ‘Camelot’ was followed by features on the American TV show ‘The Ed Sullivan Show’ and the American sitcom ‘The Danny Thomas Show’ that made him a household name in the US. He earned the ‘Grammy Award’ for the ‘Best New Artist’ in 1962. The same year, he began his recording career with ‘Columbia Records.’ He eventually released over 60 bestselling albums. By 1962 Goulet had recorded two albums and a hit single, “What Kind of Fool Am I,” and that year he won the Grammy Award for the best new artist. He would place 15 more albums on the charts by the end of the decade. On television, Goulet won an Emmy Award in 1966 for his work in an adaptation of Brigadoon. A Tony Award came in 1968 for his performance in the Broadway musical The Happy Time. Although his popularity reached its zenith in the 1960s, his more than 60 albums, his film, and TV appearances, and his work in Las Vegas nightclubs and in touring theatricals kept him busy for the rest of his career. Though his name in later years became synonymous with the typical old-school lounge singer that was often satirized by younger, hipper entertainers. Goulet played along with the characterization, portraying himself on a TV episode of The Simpsons and appearing in a number of humorous TV commercials. Like many vocal artists of the day, however, Goulet became a bankable LP seller rather than a chart success, and though he made a surprise Top 20 showing of “My Love, Forgive Me (Amore, Scusami)” in 1964, it was his last hit. The album My Love Forgive Me reached number five and became a gold seller, and Goulet continued recording until 1970 when he moved into concert and television work. Goulet made his film debut in 1962, lending his voice to the character ‘Jaune-Tom’ in ‘Gay Purr-ee.’ He also did voice roles in the films ‘The Daydreamer’ (1966) and ‘Recess: Taking the Fifth Grade’ (2003). His starring role of ‘Ross Kingsley’ in the 1964 film ‘Honeymoon Hotel’ marks his first non-singing role, while his cameo appearance in the 1980 film ‘Atlantic City’ earned him critical acclaim. He also appeared in films such as ‘Beetlejuice’ (1988), ‘The Naked Gun 2½: The Smell of Fear’ (1991), and ‘The Last Producer’ (2000). The English adaptation of the song ‘Amore, scusami’ by Goulet, titled ‘My Love, Forgive Me,’ which was recorded in 1964, reached number 16 on ‘Billboard Hot 100’ and the second spot on the ‘Adult Contemporary’ chart. Goulet also toured in several musicals, including Camelot as Sir Lancelot, Man of La Mancha, Rodgers and Hammerstein’s South Pacific, Rodgers and Hammerstein’s Carousel, where he portrayed Billy Bigelow, a role he also played in 1967 in a made-for-television adaptation of the musical. This version aired only a year after the first television telecast of the 1956 film version. He also starred in a 1966 television version of Brigadoon, which won several Emmy Awards and Kiss Me Kate in 1968, opposite his then-wife Carol Lawrence. All three were produced by Goulet’s company Rogo Productions and aired on ABC, but none have been rebroadcast since the 1960s or released on video. All three were recorded on videotape rather than film. Over the years, Goulet cemented his position as a theater actor, with plays such as ‘Camelot’ (1975, 1990, 1992–1994), ‘Carousel’ (1979), ‘Kiss Me, Kate’ (1981), ‘South Pacific’ (1986–1989, 2002), and ‘Man of La Mancha’ (1996–1997). His company, ‘Rogo Productions,’ produced the ‘Emmy Award’-winning American TV film ‘Brigadoon’ (1966), based on the musical of the same title and also the 1968 TV film version of the musical ‘Kiss Me, Kate’ that had Goulet starring with his then-wife, Carol Lawrence. In 1972, Goulet played a lead villain in the season finale of television original Mission: Impossible. Goulet was featured in a two-part episode of the sitcom Alice during the 1981 season, again playing himself. The plot involves Mel (Vic Tayback) and the girls winning a free trip to Las Vegas, and while there, losing his dinner in a gambling spree. Alice (Linda Lavin) plans to impersonate Goulet in an effort to persuade the casino owner to return the diner to Mel. The real Goulet appears and sings a duet with the (much shorter) fake Robert Goulet portrayed by Alice. His first film performance was released in 1962: the UPA (United Productions of America) animated musical feature Gay Purr-ee, in which he provided the voice of the male lead character, ‘Jaune Tom’, opposite the female lead character, ‘Mewsette’, voiced by Judy Garland. His first non-singing role was in Honeymoon Hotel (1964), but it was not until a cameo appearance as a singer in Louis Malle’s film, Atlantic City (1980) that Goulet was given critical acclaim. He recorded the song “Atlantic City (My Old Friend)” for Applause Records in 1981. Goulet impressed the five finalists at the 1978 ‘Miss Universe’ pageant, singing ‘You Light Up My Life.’ On April 1, 1990, he performed the Canadian national anthem to open ‘WrestleMania VI’ at the ‘SkyDome’ in Toronto, Ontario, Canada. He lent his voice to ‘Wheezy, the Penguin,’ singing a new version of ‘You’ve Got a Friend in Me,’ in the 1999 American computer-animated comedy ‘Toy Story 2.’ He earned critical acclaim featuring in the ‘Broadway’ revival of Jerry Herman’s ‘La Cage aux Folles’ in 2005, marking his last ‘Broadway’ appearance. In 1991, Goulet starred, with John Putch and Hillary Bailey Smith, in the unsold television series pilot Acting Sheriff. That same year, he appeared as Quentin Hapsburg, opposite Leslie Nielsen, in the comedy film The Naked Gun 2½: The Smell of Fear. This followed a cameo as a “Special Guest Star” in the episode “The Butler Did It (A Bird in the Hand)” of the 1982 TV series Police Squad! in which he died by firing squad during the opening credits. The television series spawned The Naked Gun film series. In 1992, Goulet made an uncredited appearance as the piano player who suffers agonizing injuries in the “Weird Al” Yankovic video for “You Don’t Love Me Anymore”. That same year, Goulet guest-starred as country music singer Eddie Larren in an episode of the TV series In the Heat of the Night, “When the Music Stopped”. He starred as King Arthur in Camelot in a 1992 National Tour and returned to Broadway in 1993 with the same production. In 1993, Goulet played himself in The Simpsons episode “$pringfield”. In that episode, Bart Simpson booked him into his own casino (actually Bart’s treehouse), where he sang “Jingle Bells (Batman Smells)”. In 1996 Goulet starred in the film Mr. Wrong and three years later he was the singing voice of Wheezy the Penguin in the animated feature Toy Story 2. The year 2000 found him in a revival of South Pacific and in 2005 he was back on Broadway starring in La Cage aux Folles. In 2006 he was given a spot on Canada’s Walk of Fame. In 1978, Goulet sang “You Light Up My Life” at the Miss Universe Pageant to the five finalists. Goulet played Don Quixote in the 1997–98 U.S. national tour of Man of La Mancha and recorded the theme song for the talk show Jimmy Kimmel Live! in 2003. His commercial work included a 30-second spot for the 1998 Mercedes-Benz C-Class, showing him in different costumes (toll collector, construction worker, meter maid, etc. ), all while singing “It’s Impossible”; and an Emerald Nuts television advertising campaign in 2006, which debuted during Super Bowl XL and continued until his death. In 2006, he appeared in an episode (“Sold’y Locks”) of The King of Queens as himself. The 2007-aired ‘PBS’ special ‘My Music: 50’s Pop Parade’ that had veteran singers performing their biggest hits was the last public performance of Goulet. He sang ‘If Ever I Would Leave You’ and ‘Sunrise, Sunset’ on the show. 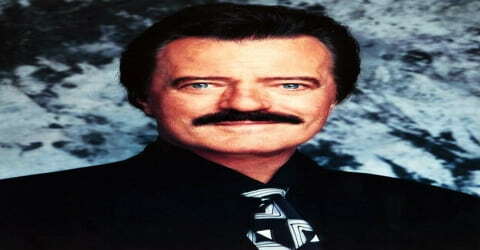 In 2006, Robert Goulet received a star on Canada’s Walk of Fame. The ‘Robert Goulet Memorial Mustached American of the Year Award,’ presented by the ‘American Mustache Institute,’ has been named in his honor. 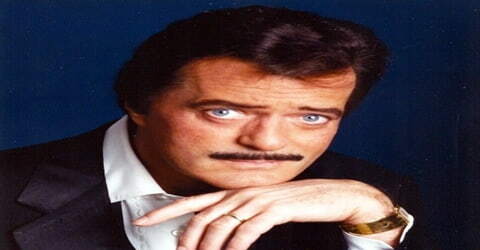 Robert Goulet died from pulmonary fibrosis on October 30, 2007, at Cedars-Sinai Medical Center while awaiting a lung transplant. Theater marquees in New York and in cities across North America were dimmed in his memory on Wednesday, October 31, 2007. On Friday, November 9, 2007, the day of his funeral, Las Vegas honored Goulet by closing the Las Vegas Strip for his funeral procession. Several venues also posted his name on their marquees as a final tribute. 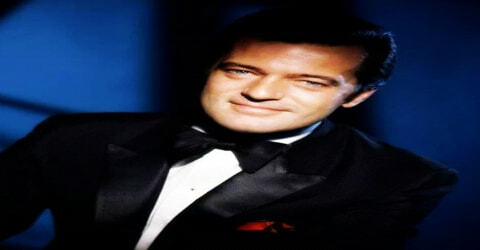 His face was more famous than his voice, but Robert Goulet recorded a string of popular albums for Columbia during the 1960s, striking the pop charts with several hits and earning a 1962 Grammy Award. In the later 1990s, Goulet was often subject to parody in Saturday Night Live skits in which he was portrayed by comedian Will Ferrell. In one segment Will Ferrell, portraying Goulet, performed several songs from a farce compilation album titled Coconut Bangers Ball: It’s A Rap! Ferrell performed “Big Poppa” by The Notorious B.I.G., as well as the “Thong Song” by Sisqo, in a mock crooning style similar to that of Goulet. He is also known for singing the theme song for the talk show Jimmy Kimmel Live!, which he recorded in 2003.